Building hydrogen retrieval installations and producing cars or locomotives driven by hydrogen could become the basis of a hydrogen revolution in transport, claim Polish parliamentarians promoting the gas as the ‘fuel of the future’. According to MP Krzysztof Sitarski (Kukiz ‘15 party), the Hydrogen-Poland parliamentary team’s leader, Poland has the capacity to become a “hydrogen Kuwait”. "Hydrogen is the fuel of the future and Poland is one of the biggest producers in the world - we can be a hydrogen Kuwait," asserted Sitarski, speaking at the COP24 climate summit held in Katowice (southern Poland). "We're creating the legal conditions for infrastructure development, technologies and hydrogen-powered cars are available,” he added. 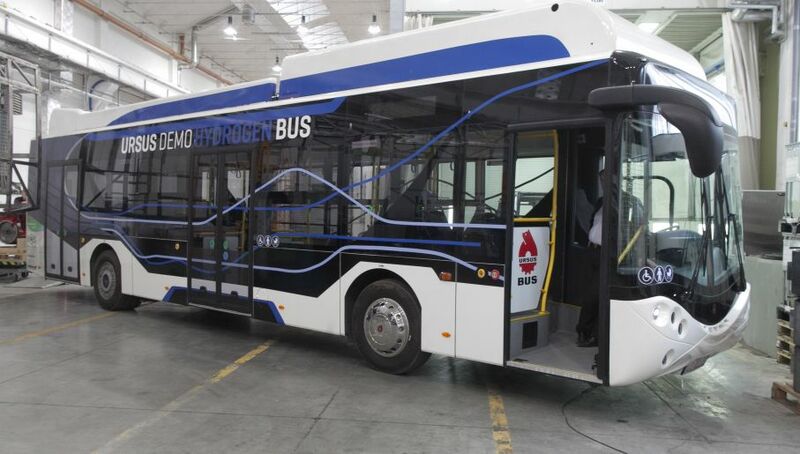 According to data quoted by the team, the Lotos refinery in Gdańsk alone produces 13 tonnes of hydrogen an hour, and the Jastrzębska Coal Company is capable of producing enough hydrogen to power about 800 buses a year. The hydrogen revolution is starting, and will gain pace along with infrastructure development and the availability of funds, including those earmarked for emission-free transport." During COP24 Poland's second largest oil firm Lotos signed a contract for co-financing the “Pure H2” project which foresees construction of a hydrogen retrieval installation at the Lotos refinery and two filling stations. The project is valued at EUR 10 million and is co-financed by the Connecting Europe Facility EU financing instrument. The filling stations in Gdańsk (northern Poland) and Warsaw are scheduled for completion by the end of 2021. According to Mateusz Cabak, a fuel market analyst co-operating with BiznesAlert.pl, Poland is already one of the world leading hydrogen producers, delivering around 1 mln tonnes of the gas yearly.